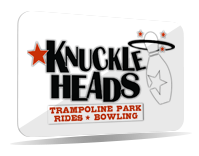 Knuckleheads is home to Wisconsin Dells’ only trampoline park. 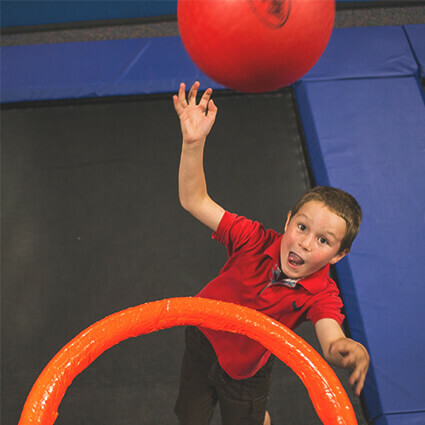 It’s perfect for any size, age, and jumping ability! 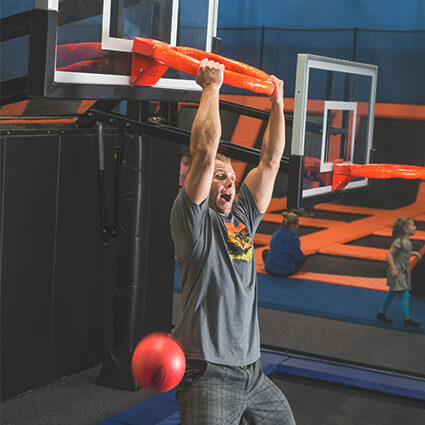 Purchasing a trampoline park jump pass gives you access to four high-flying areas – slam dunk basketball hoops, a large open jump area, the ultimate dodge ball court, and Knuckleheads custom BigAir “stunt” bag. 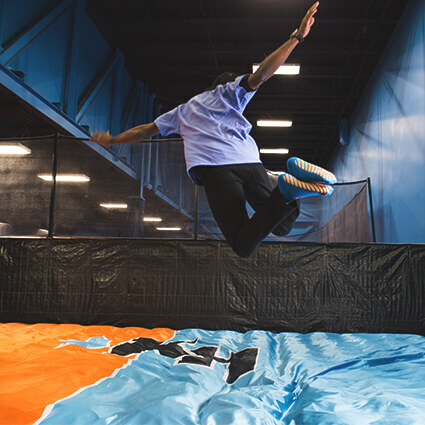 There’s always plenty of space to take flight in Knuckleheads trampoline park! Save Time. 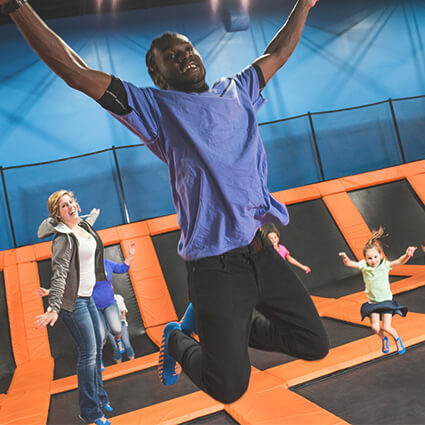 Buy Jump Passes Online. 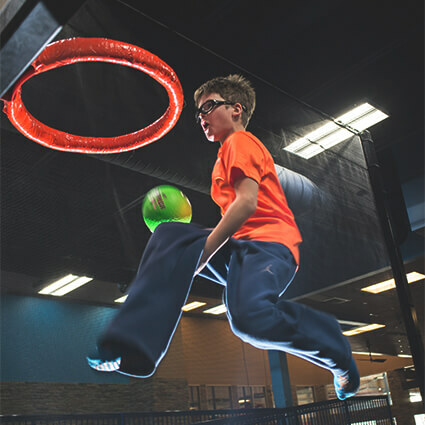 ** PLEASE NOTE: completed waiver(s) and grip socks are required for all jumpers; If under 18, waiver must be completed by a parent or legal guardian. Waivers for each jumper should be completed prior to checkout. 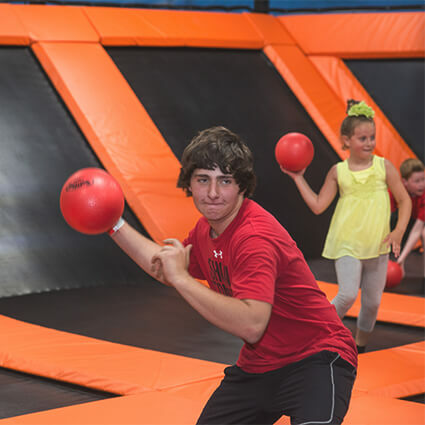 Trampoline Park is not included in any wristband. Jump time stickers must be worn, and visible, at all times. 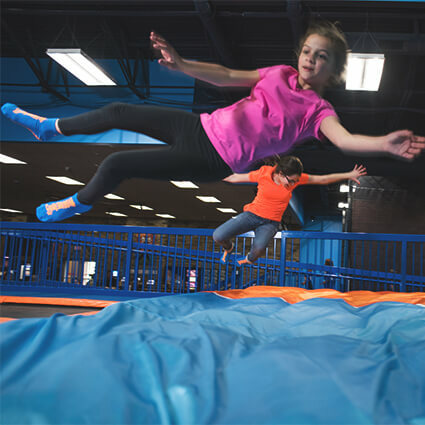 Violating safety rules may result in loss of jumping privileges without prior warning. 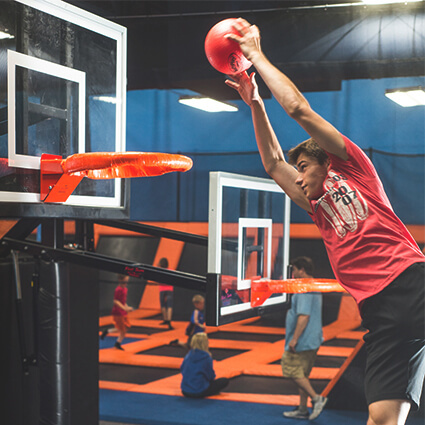 Test out your dunk skills on one of our three basketball hoops! 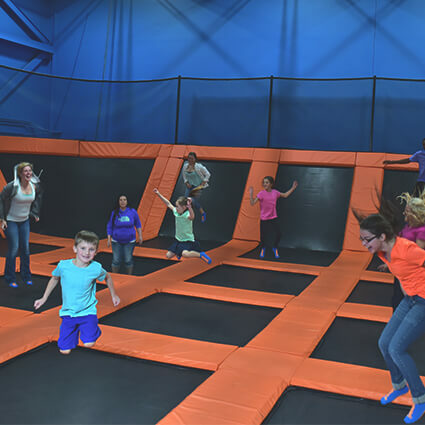 Jump around with friends in our open jump area! 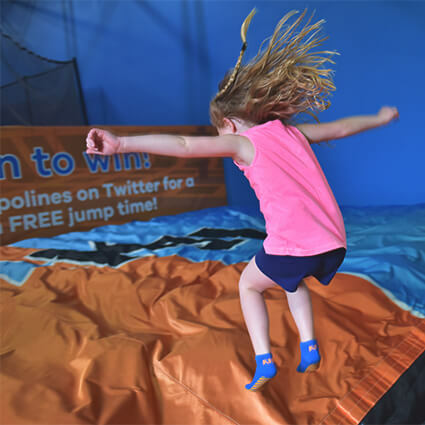 With only one jumper per square, kids of all ages can enjoy jumping in our Trampoline Park. 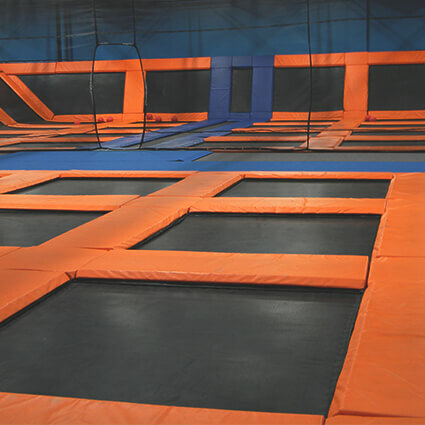 Perfect for simultaneous jumpers and landings! 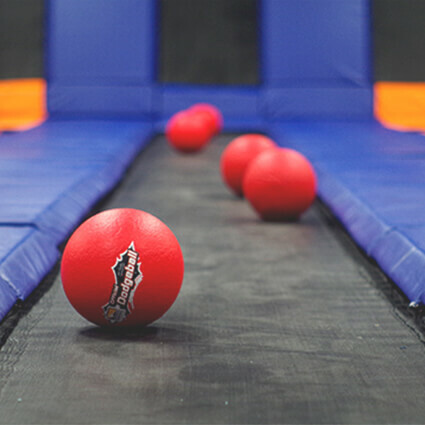 Unlike with exiting a foam pit, our bigairbag is a piece of cake! 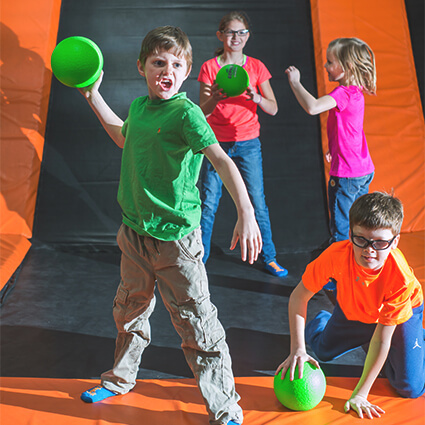 No more getting stuck and no scrambling out - Each jumper can simply walk off the bag! 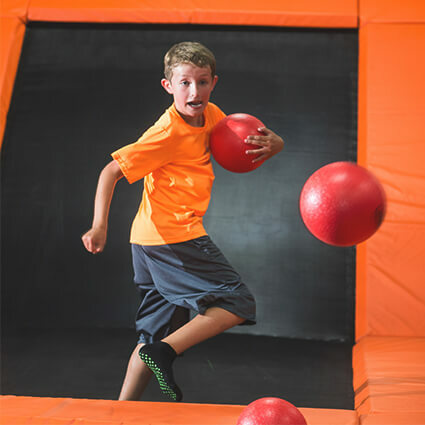 Challenge your family to a friendly game of dodge ball or bring your friends and get competitive.